Our Walker Turner Band Saw Guides Assemblies are available for upgrading and replacement of worn or inferior guides. 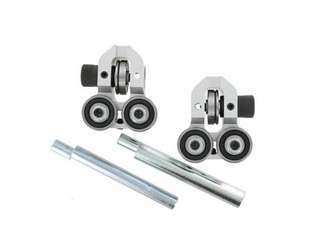 Our Walker Turner guide upgrade kit provide full blade contact for maximum accuracy via all-ball-bearing support for smooth low friction running. They are well suited for general purpose work. 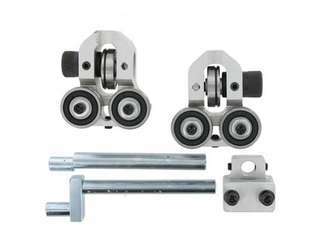 The Walker Turner upgrade kit updates your saws performance through the use of precision machined brackets and all sealed bearing roller guides. This provides your saw with reduced blade friction, improved cutting accuracy, and is adjustable for blade widths from 3/16" to 1"